I can guarantee you that the weather will be better for this Costume Cruiser than it was for the last one. 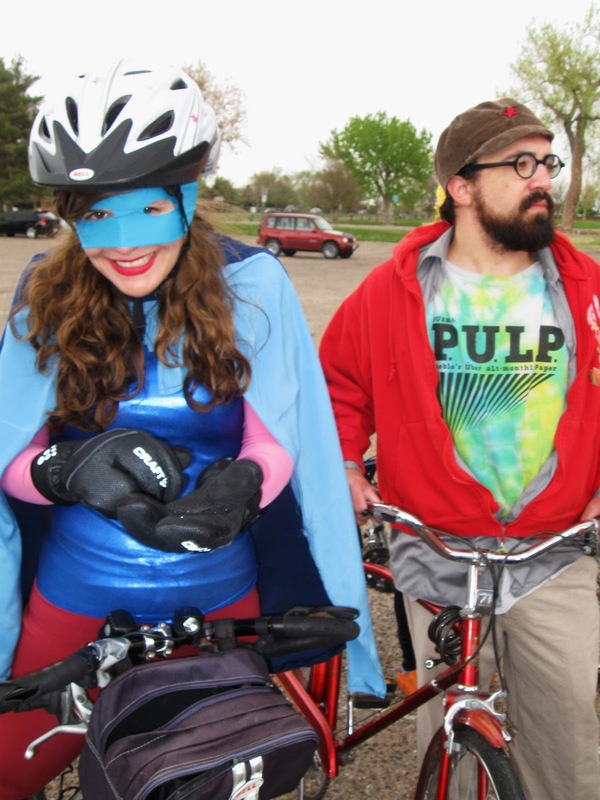 This Friday, May 13th there will be another Costume Cruiser Ride in Pueblo. We will be meeting at Bingo Burger on 1st St. People will be doing face-painting starting at 6:00pm up until the ride starts at 7:00pm. So bring a costume, be ready to be goofy, but to also be safe and follow the rules of the road. This is a very casual ride, approximately 2-3 leisurely miles. The end of the ride will finish at Bingo Burger, who will be having live music, beer, and burgers on their patio!